next-generation iPhone will be launched in September this year, the exact date of Apple should be called a special press conference at the beginning of next month. In anticipation of the launch of new products by representatives of the British jewelry brand Brikk announced modification of the elite iPhone 6s, which cost in the maximum configuration is $ 200,000. Brikk presented 24-carat gold iPhone 6s. To pre-order items are available trimmed in yellow or pink gold. 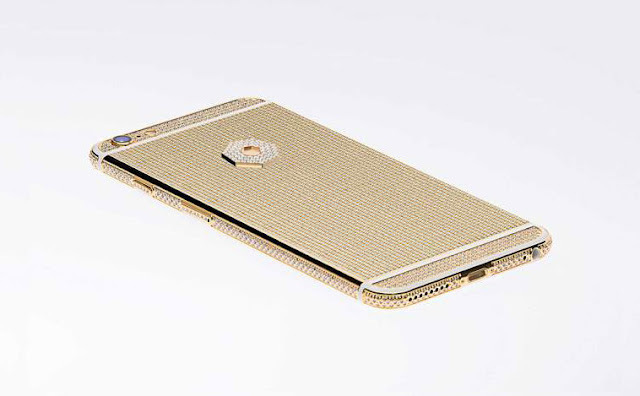 The company also offers Apple fans to buy a platinum version of the new flagship model, and decorated with diamonds. All versions are equipped with 128 GB of flash memory. Buyers are offered a separate service for application on the phone is the logo of the diamonds of 1.08 carats. Lineup gold iPhone 6s, inlaid with diamonds, will go on sale in about a month after reaching the normal version of the smartphone market. Brikk offered a wide range of prices exclusive line of iPhone 6s. The most affordable modification valued at $ 7,995, the most expensive will cost $ 199,995. As expected, Apple announces iPhone 6s and iPhone 6s Plus along with the new generation Apple TV is already on September 9. And along with them to this day and can be represented by a potential receiver iPhone 5c, known as iPhone 6c and has a 4-inch touch screen, Touch ID scanner and support for NFC.